The bottom is that “preserving cash flow” is the number one priority of most CFOs. That is why many accounting and CFO consulting firms, will offer cash flow and liquidity analysis as a service to companies. Why is this important you may ask? A Statement of Cash Flows or sometimes called Cash Flow Statement (CFS) is one of the most essential financial statements for any business or project. It is used to track the flow of funds or working capital into and out of an organization during a specific accounting period. This financial statement can as simple as a one page analysis or it can involve several schedules (Quarterly, Monthly, Weekly, or Daily) that supply information into a central statement. For small businesses this should be prepared quite frequently. 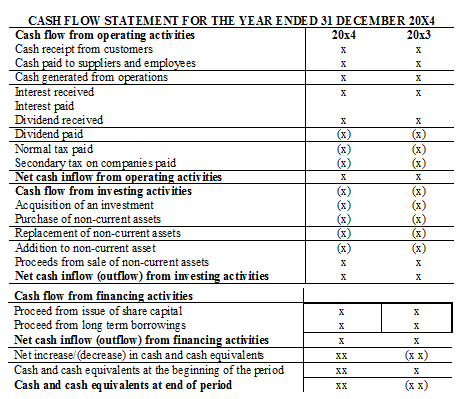 Since 1987 the Cash flow Statement has been a requirement of publicly traded companies. So while Balance Sheets and Income Statements are very useful for analysts and CPAs to understand the Financial Standing or operational health of a company, they do not explain or take into account in intricacies of cash flows over time. All of theses statements complement each other and go into a company’s Financial Reporting. Where you do start when you want to figure out a cash balance? You begin with your business’s total cash balance at the start of a quarter or chosen period, which you can find either at the end of the previous Cash Flow Statement, or from the Balance Sheet if that is not available. The cash flows are then calculated by examining the flow of cash within 3 major categories: investing, finance and operations. 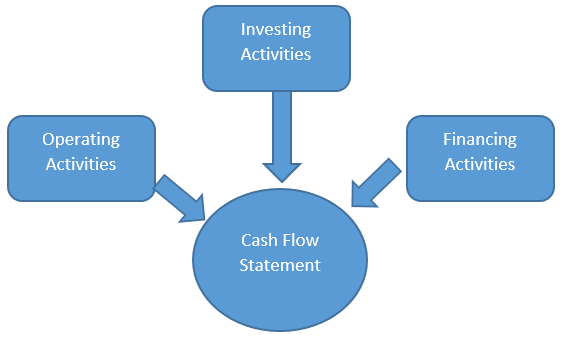 Write out the income and payments involved for each of the following categories, and then document the inflows as positive and the outflows as negative. What are considered financing activities? Financing activities can include borrowing money, purchasing or issuing equity or stock, paying back debt or distributing dividend payments. The Proceeds from Long Term Debt: This is referring to any cash paid out or received by the company for long term debt such as bank loans or perhaps government bonds. Paid Dividends: Are a small portion of a company’s profit that are issued to stockholders. This should include payments toward dividend taxes and will be recorded as an outflow of cash flow. What would be considered investing activities? Investing actions will involve buying or selling securities or assets that are not related to the inventory or other operations. This can include long term assets such as equipment, property, stocks or loan payments that have received or given by the business. This section will often be in the negative, since this deals with the disbursement or paying out of cash into various investments and assets. Investments or Securities: Is considered any inflow or outflow of cash due to the buying or selling of stock or securities by the company should be recorded here. Property or Equipment: Any payments made towards the purchase of capital investments or fixed assets, like property or equipment, will be recorded as an outflow. Any income from the sale of these assets will be marked as an inflow. Cash from Continuing Operations: This comes from the inflow of cash from sales, as well as the outflow of payments to employees, vendors and suppliers. This number can be also found under the “net income” calculated in the Income Statement. The Rise or Fall of Accounts Receivable: Accounts receivable is money owed to the business from a customer or client for services or goods that have already been delivered. How is this works is, if the amount of the accounts receivable has gone up, this increase should be subtracted from the total, since it represents money that has still not been received. And conversely, if the accounts receivable amounts have gone down, then the amount should be added. Depreciation and Amortization: You now want to calculate any decrease in value of the company’s assets. As an example, say a piece of equipment is worth $20,000 and it should last or function for 10 years, the depreciation value of that equipment will be $2,000 each year, (thus it will recorded as a loss of $2,000 for that period). Depreciation means the loss of value in physical assets, while amortization pertains to intangible assets such as patents,(which expire and will there lose value over time also). Income Taxes Paid: The payment of income taxes is considered an outflow of the cash listed operating expenses, unless they are somehow directly related to financing or investing activities. So now you want to add up the positive numbers (inflows) and the negative ones (outflows) of cash under the investing, finance, operating activities, then add or combine those three values together. You now will subtract the previous statement’s, cash balance from the now current period to figure out the net increase in cash and cash equivalents. 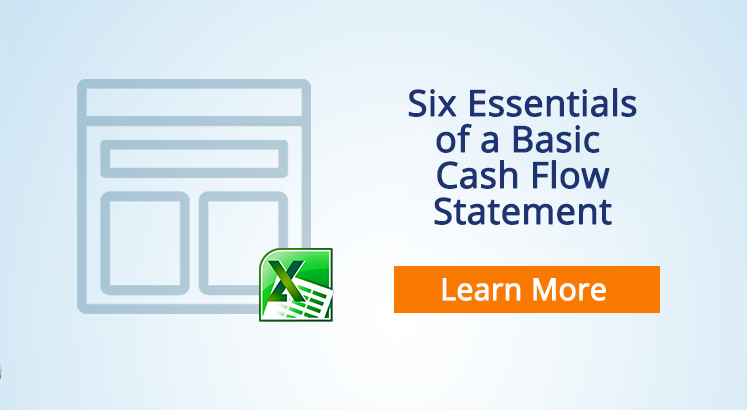 To learn more about how you would calculate cash flow on a monthly basis, you can download this Excel Cash Flow Template. The purpose of doing a cash flow analysis of a company is to determine and show the value of a company at any particular moment, the problem is that it may not accurately constitute its overall financial health. There are a number of companies that can operate quite successfully with debt and accounts receivable if their growth is based on a reliable future earnings. Some recent Unicorn startups like Uber or Instragram could be examples of this. In the same token, an organization can be worth a lot in terms of assets, but if their ability to maintain and their inflow of cash remains uncertain, they then should have valid reasons to be concerned. Thomas Huckabee CPA has worked with hundreds of companies by conducting comprehensive cash flow analysis’s which helped them free up cash they needed for better deployment purposes such as investing in new products, pay down debt or fund new initiatives.